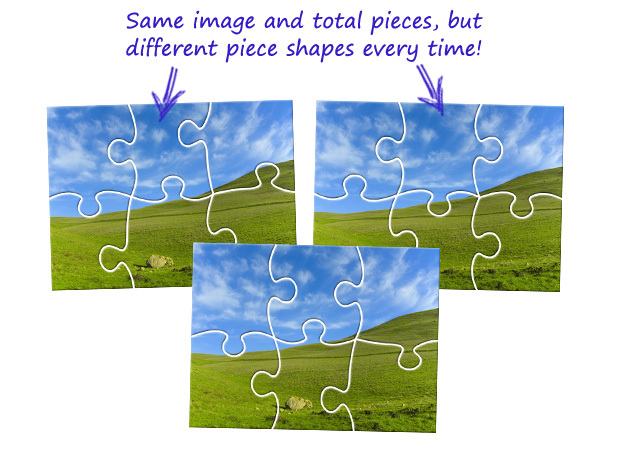 If you play a lot of our jigsaws, you may have noticed that the piece shapes are always the same for each type of puzzle cut. For example the 6 piece classic pieces always look the same, no matter what puzzle image you are playing. Many of our members have even memorized the piece shapes for each cut! After many months of hard work, we are proud to announce that Crazy4Jigsaws now features dynamic puzzle cuts! Now when you play a regular classic cut, the puzzle pieces are randomly created for a completely unique experience. This brand-new feature is available today for free, and is automatically enabled. If you would like to switch back to the old static puzzle cuts, you can do so in your account settings. We hope that dynamic puzzle cuts will bring a new sense of challenge and enjoyment to our puzzles. Thank you to everyone who suggested it! Feel free to let us know what you think in the comments section below, or let us know if you have any other suggestions to help make the site even better. 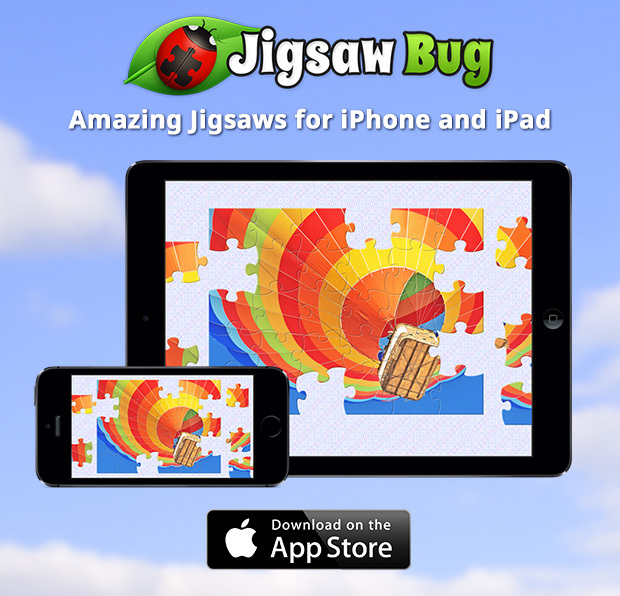 We're pleased to announce Jigsaw Bug - an all new jigsaw experience for iPhone and iPad. Created by the same team that brought you Crazy4Jigsaws, Jigsaw Bug combines our love of jigsaws with the power of mobile technology. Now you can take your love of jigsaws everywhere you go! Jigsaw Bug is now available for free worldwide on the App Store, with the option to make in-app purchases for even more puzzles. Click here to download Jigsaw Bug today! We've got puzzlers in over 150 countries so we thought it was time to expand our Premium Membership plans to include currencies other than United States Dollars. 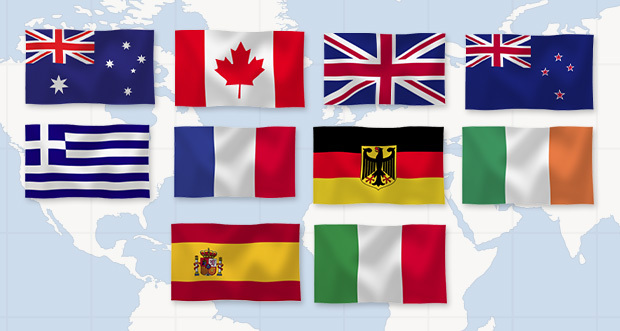 We're pleased to announce that we now offer Premium Membership plans in six different currencies from around the world! Starting today we now offer plans in Australian Dollars, Canadian Dollars, British Pounds, New Zealand Dollars, Euros and United States Dollars. All currencies are accepted via credit card, personal check and money order. If you are an existing Premium Member and want to switch to your native currency, or if you are a new member that wants to upgrade, click here to begin. If you don't see your native currency, you can either pay in USD or you can contact us to pay via check or money order with the currency of your choice. 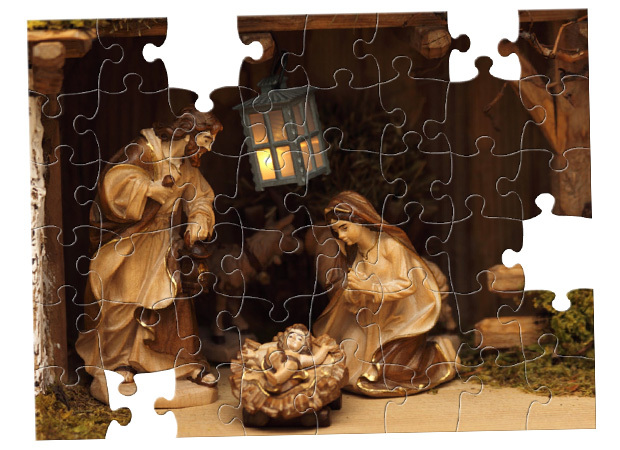 It's time for another exciting theme week on Crazy4Jigsaws! This week all of the Premium puzzles will be "orange" themed. We've also released some brand-new orange themed profile icons to celebrate the week. Check them out in the redeem points section.